ASTM A513 erw carbon steel pipe covers round, square, rectangular, and special shape tubing. The heat of each steel should be analyzed by the steelmaker to determine the percentage of the specified element; if the two melting process is adopted. Thermal analysis should be obtained from a Remelting Ingot or the product of a Remelting Ingot of each main melt. Thermal analysis should be in accordance with the required requirements. 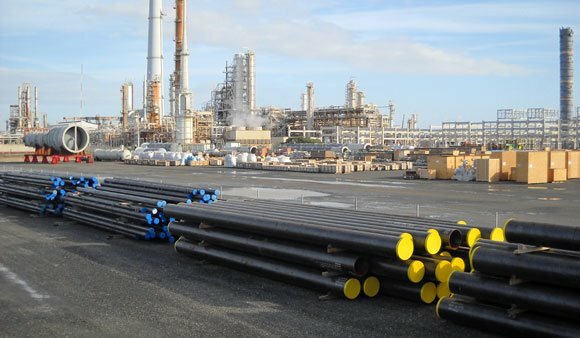 The difference is that, if the thermal consistency is not maintained, or that the analysis is not sufficient to determine consistency, the chemical composition determined by the product analysis carried out by the pipe manufacturer should comply with the requirements of the thermal analysis. Such an analysis report should be provided to the purchaser when the order or contract is required. Constant temperature analysis of each heat product should be carried out on flat rolled material or pipe. No constant temperature - for 3 inches (76.2 millimeters), every 2000 feet (610 meters) or smaller size products, and 3 feet and lower sizes for every 5000 feet (150 meters) or smaller size products. If the initial product analysis test fails, then two additional length flat billets or pipes should be retested. The two retest of the related elements should meet the requirements of the specification: otherwise, all residual materials in the heat or batch should be rejected or selected by the producer, and each flat blank or pipe can be tested and accepted separately. The length of flat billet or pipe that does not meet the specifications should be rejected.